According to the lawsuit, "Shortly after Radix's release, the Lai brothers submitted their work in Radix to Marvel, and were hired by Marvel as artists, on account of that work. In the films, which followed a few years later, the traditional depiction of the protagonist in Marvel's comic books, Iron Man, radically changed." Back in 2002, Horizon Comics issued a cease and desist to the Massachusetts Institute of Technology claiming the university used its images to win a $50-million nanotechnology research grant from the U.S. Army for next-generation body armor. The university issued a public apology to Lai and Horizon Comics saying it "regretted" the use of the image and was unaware that it had been "derived from another source." Soon after, Marvel reached out to the Lai brothers and brought them on as artists to work on various titles. It was at this time the Radix material was seen by key personnel at Marvel. 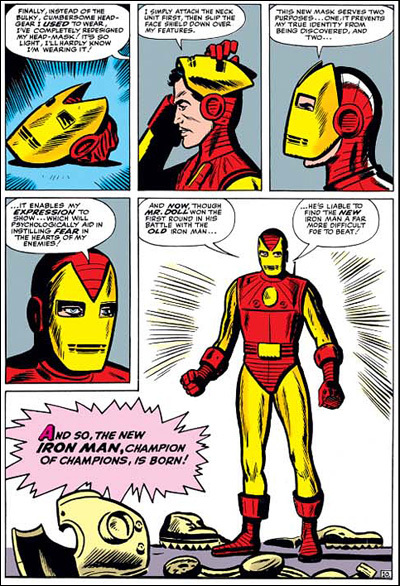 Not long after that, Iron Man's appearance began to change drastically. The Lai brothers contend that this was no coincidence. Iron Man was created in 1963 by Stan Lee. "From that time until the first movie in the franchise was released, the comic typically depicted Iron Man wearing simple spandex-like attire and minimal armor," while in the Marvel movies, the character is depicted "wearing a fully mechanized suit of body armor." 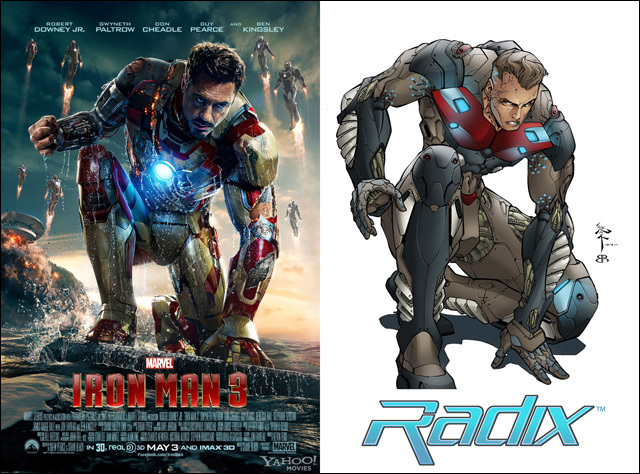 The lawsuit also draws attention to the marketing material used to promote the films, claiming a likeness to additional Radix material in the promotional movie posters used for Iron Man 2 and Iron Man 3. 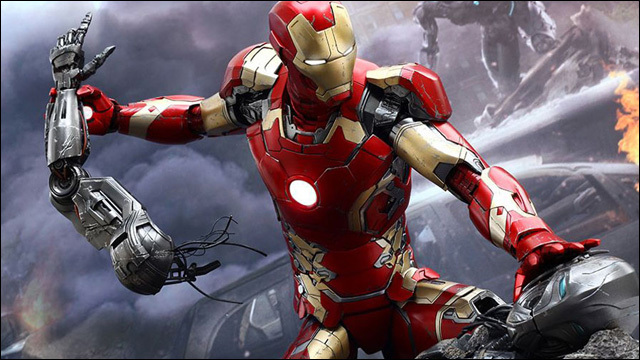 Marvel's latest movie, The Avengers: Age of Ultron, which includes Iron Man, is set to for release on May 1. The Hollywood Reporter calls the Lai brothers' lawsuit "an uphill battle."